Slow distilled in antique Scottish copper stills and using Andean mountain spring water it’s not your average rum. Notes: This rum hails from Argentina – not exactly a place that springs to mind when one thinks of rum, but it actually had a long history of production there, ceased production in 1969 and has now restarted with this brand. 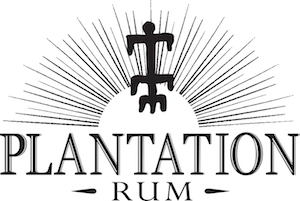 Produced using highly proprietary yeasts selected to make for slow fermentation and to make the best rum. Slow distilled in antique Scottish copper stills aged in charred French oak casks and using Andean mountain spring water it’s not your average rum.We use the term rum industrial to denote that it uses molasses raather than sugar cane juice.Otherwise their production puts it more in the realm of a boutique rum in terms of production methods and scale. Part of a series including: Isla ñ Gold, and their flavored rums, Isla ñ Coconut, and Isla ñ Lemon. Appearance: Bright, quicksilver clear with no hazing, separation or floating sediments. Scalloped edge line, very thin long legs and some tiny droplets develop on swirling. First Impression: Very aromatic, very clean, vanilla,coconut, caramelized sugar/toffee, pleasant alkali notes (cocoa, coffee, etc. ), tamarind. Taste: Very understated mild entrance almost a vanilla egg cream with citrus then the French oak char starts in with a drying midpoint, citrus notes develop, with pleasant spice, alkali notes, mineral tastes, small amount of floral notes. Dryish finish; medium long. Drinks: While I find their proprietary drinks not to my taste, other drinks fared well with their rum. It is a very clean smooth white rum especially for the money. Cigars: A cigar a little darker than the rum is a good guide. A natural wrapper or shade grown Connecticut, Petit Corona size or Fuente Hemingway Short Story would be a good bet. Final Thoughts: Could very well change your mind about white molasses rums (some of which could and should be used as fuel rather than drunk). Excellent value for the money and an interesting addition to your bar to replace the Bacardi. 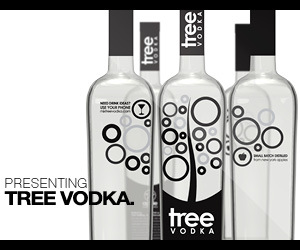 Bottle/Packaging: Clear glass with rounded shoulder,light blue back label gives bottle sky blue appearance. Light blue neck band with blue paper composite cork closure (black looks like a lab stopper, but doesn’t leak or influence the rum). Fair amount of information if lacking pictures of the distillery and some of the geeky details we look for.